Fun, retro & mixed with a playful colour palette, Docrafts Papermania is delighted to bring you Love Santa! Filled with festive cheer, this collection has a kitsch feel and conjures nostalgic childhood memories. Add a touch of charm to your makes with this Mini Christmas Lights Trim. Simply use to embellish your makes! 3m included. 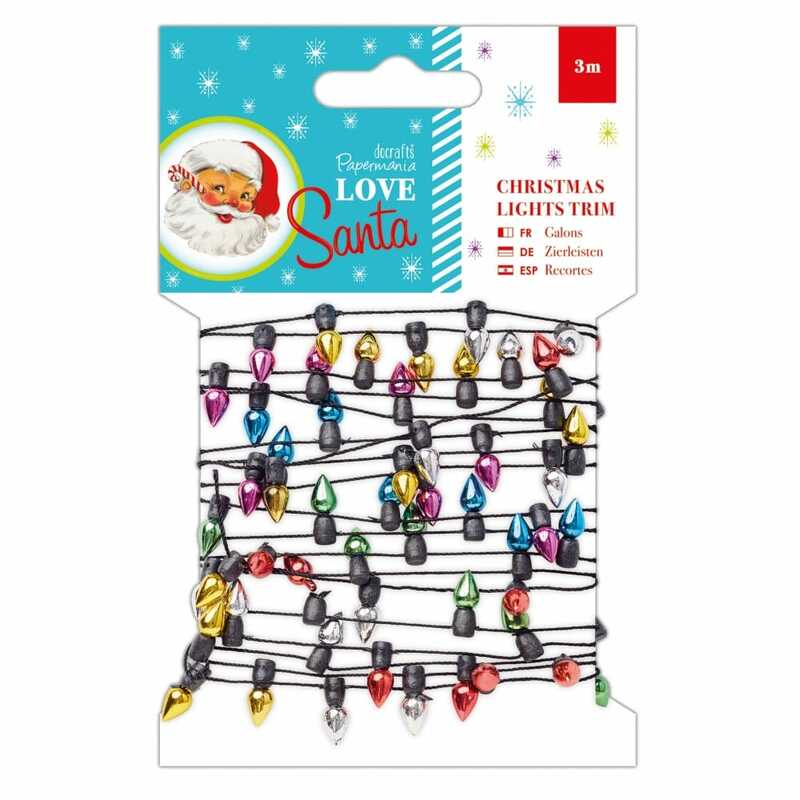 Showing 2 DoCrafts 3m Christmas Lights Trim* reviews. Average rating of Excellent. Would you like to write a review? I loved this Christmas tree light trim on sight, it adds a joyful touch to gift wrapping. Absolutely love this Trim, Used around my gifts which everybody commented on and liked it.